In the previous post, I shared some fun memories illustrating the fun content that can be generated by fighting the gankers. Another cool way to fight them is to shoot their haulers. 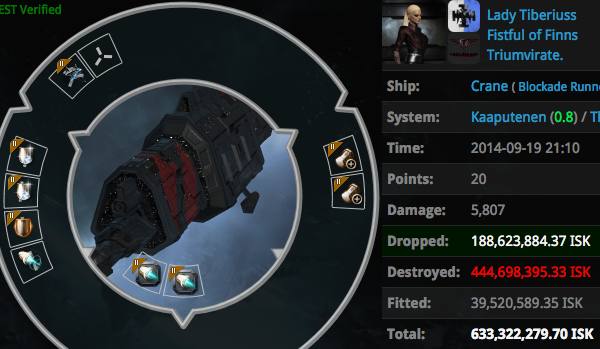 Yes, some gankers do it for profit: shortly after ganking an Industrial ship with a Tornado, they bring a hauler alt who will pick up the loot. This type of haulers usually prefer ships like Viator, Crane etc. and modules like Warp Core Stabilizers. 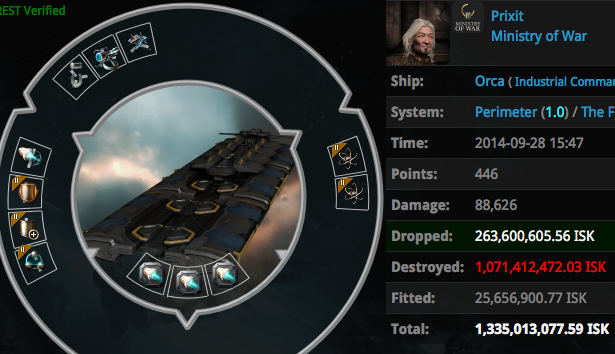 Needless to say, taking loot from the Industrial's wreck makes them go Suspect. I respect entities who manage to symbolize an area by focusing their actions to that area. In suicide ganking, D400 symbolized Uedama and Sivala. In piracy, many corporations have symbolized different systems for years. 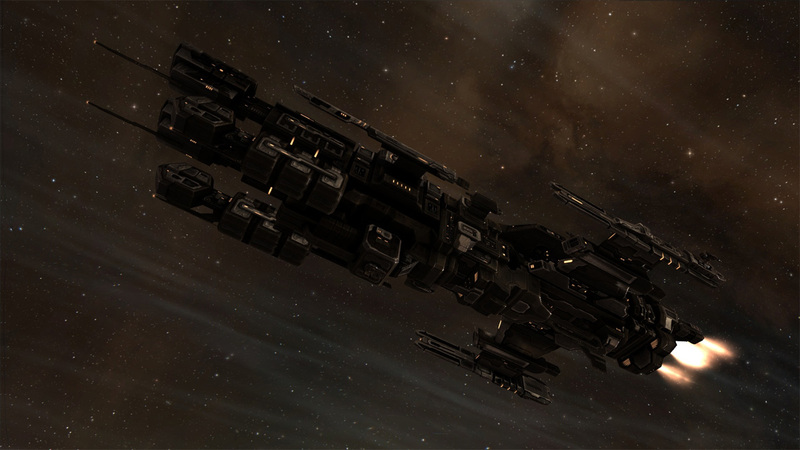 When it comes to shooting gankers and their haulers, Johnny mal'ganis probably symbolizes Jita and Perimeter. "huhahaha I just stopped 3 suicide gankers before they even attacked their target. Their operation is ruined. They think they're intelligent but that's funny. I've been controlling them for weeks now, they don't know that." Allow me to introduce you this individual whose exemplary actions perfectly embraces the following philosophy: "If you don't like them, shoot them". …hundreds of distinct troubles actually! 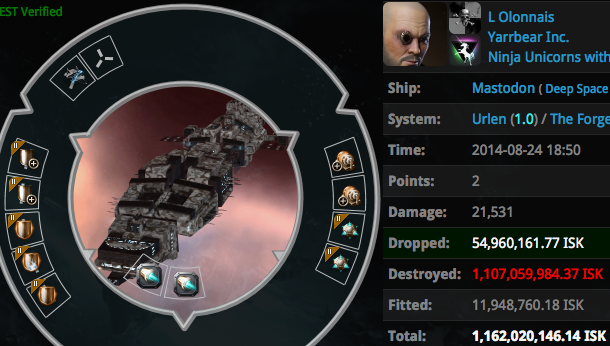 There are gankers who cancel or postpone their operations just because they see this individual in Local. While I will be contacting him soon for more info, I will also avoid (for obvious reasons) sharing too much details about his operational steps. ...like this Crane belonging to Lady Tiberiuss who was hoping to safely return to station after picking up the loot from a recently done gank. Although the Loot Fairy had said "Yes", Johnny said "No." and brought justice. "Eh, after this nice operation, it's time for a nice coffee. This ganker just tried his 5th tactic and failed again. I wonder what he will try next." "I continue to catch gankers. A duck just came online. If he doesn't check local, I will catch him. If he does, he will run away, hehe." "Aha, a new ganker has sprung up in Urlen." The Mastodon belonging to L Olonnais was also caught in Urlen while operating as the hauler of a ganker. Despite having two Warp Core Stabilizers, his Mastodon couldn't avoid being caught by Johnny's Loki. 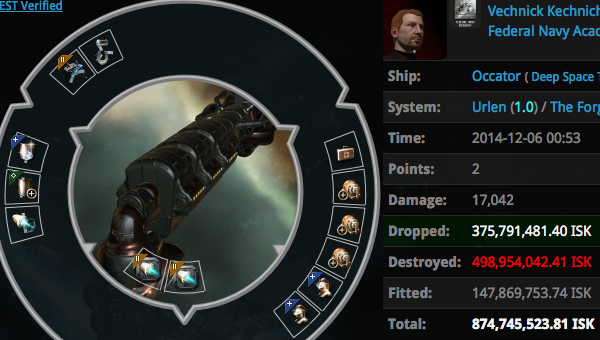 Well, actually, it doesn't matter how many Warp Core Stabilizers they have. Johnny will probably hunt you down regardless. Strangely named Vechnick Kechnick was just another victim among hundreds of Johnny's victims who experienced that. …who was so greedy that not even an additional Warp Core Stabilizer was an option. 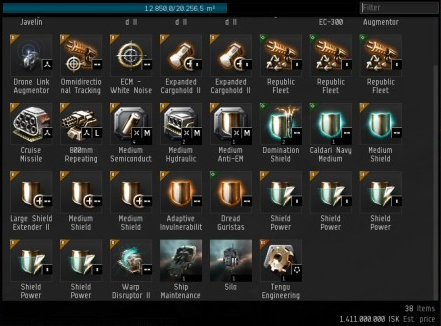 Cargo expanders… cargo expanders everywhere! Of course, this resulted in destruction. However, I am sure a Johnny-permit would be interesting for him. 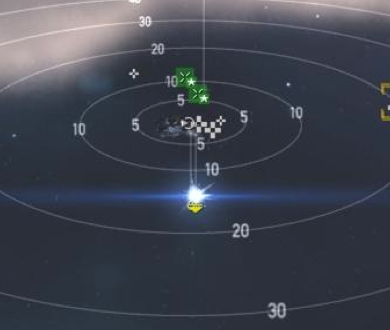 "hehe, in Jita, I made a ganker go crazy with my alt. He abandoned all his operations and is now trying to bump my Probe." …like this 1.5 billion worth of stuff. Well done! It looks like going back in history shows more and more lessons. A 1b Punisher is not a regular sight. When gankers become greedy, they become even stranger than a greedy carebear. 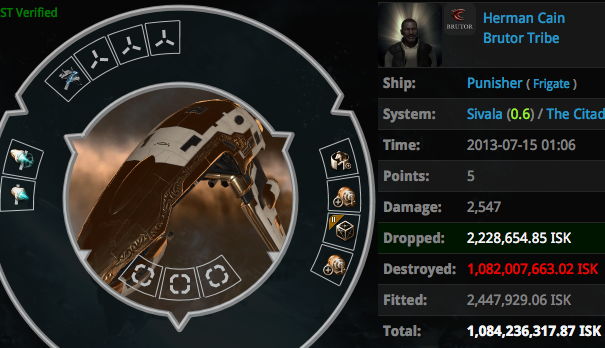 Herman Cain was caught while operating as the hauler of a Thrasher pilot who had just ganked an Imicus carrying PLEX. 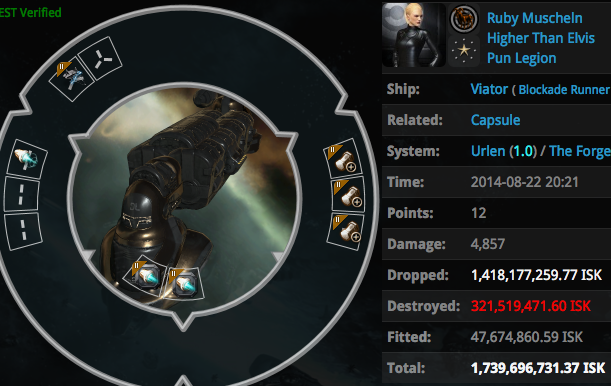 He picked up the loot and was eager to warp away with 2 PLEXes, and then, EVE happened. 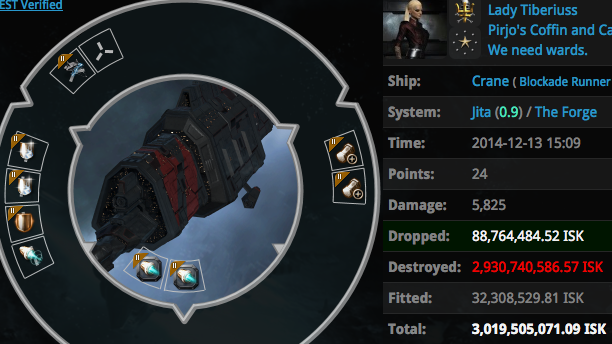 Of course, all this Anti-Ganking content brought by Johnny also results in delicious ganker tears. When he once lost his Loki because of the server's connection issues (which had affected thousands of players), ganker Korean Ninja was so happy that he couldn't control his words. Ganker, calm down. 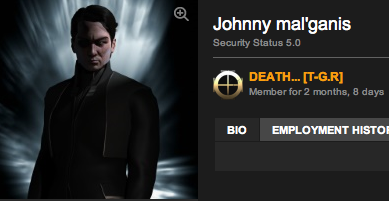 If Johnny is in Local, ganking industrials for profit is probably a bad idea. You can still ask him about possible permits though. "One of them convo'ed me, we had a talk. He said ''I will gank in Niyabainen. I know that you hunt gankers. Please don't touch me, the target is very important this time''. " I believe we have now seen all the main, fun examples of Anti-Ganking. Posts will therefore be less frequent than before, also because I need to concentrate on RL studies, work and other in-game shenanigans. I've had a lot of fun sharing these short stories, and I hope they will incite more people to enforce the emergent Anti-Ganking content. 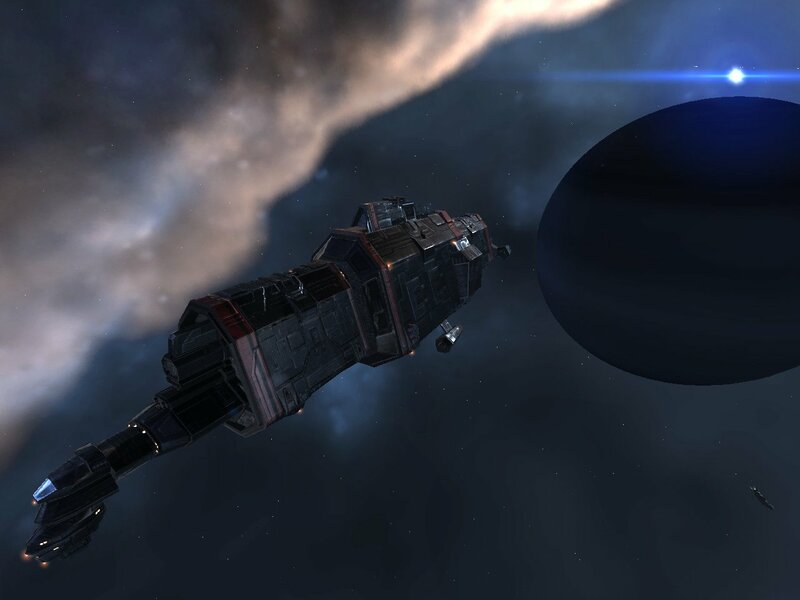 There are many ways to fight gankers and all of them fit the spirit of EVE perfectly. *Johnny's statements are translated (Turkish -> English) and fixed a little for adapting to English sentence structure.